For the discerning client, we offer a bespoke service, a selection of exclusive properties, ranging from ‘away from it all’ and hidden to the grandest and most well-known villas on the Lake. On the web site you will find just a few examples to give you an insight into the type of properties that we have available. However due to the exclusive nature of many of these properties, we cannot list them, but are happy to provide you with a list of suitable properties, after discussing your requirements with you in person. 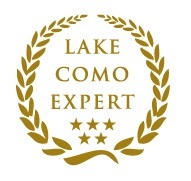 We have been based on Lake Como since 1997 and are the real Lake Como Experts! We are happy to provide you with a personalised quotation, depending on your chosen property and the level of service that you require. Make one of the lakes most luxurious and beautful villas your home for a week, a month, or even the whole summer. Choose from a selection of exclusive properties, lakefront estates, palatial belle epoque villas with sweeping driveways and hideaways accessible only by boat to afford you the utmost privacy. Naturally these special homes come with a full range of services to ensure that your holiday has all the elements that you require to complete your dream holiday home expereince here on Lake Como. Our bilingual local staff are on hand to ensure that your every requirment is fulfilled all the way through from booking to making sure that your stay runs as smoothly as the waters of Lake Como. to name but a few…………in short, whatever you need!